When Emotional Distances Matter and You Lose a Person You Love. It is never a good thing when your phone rings at mid-night. 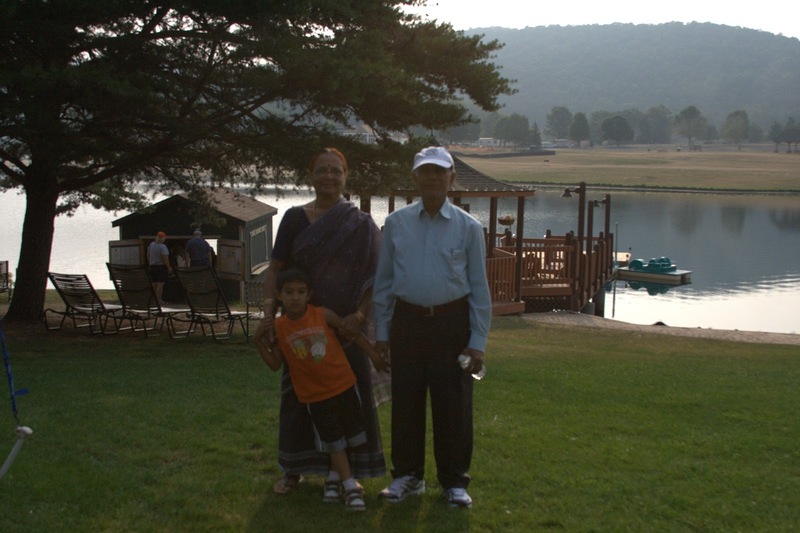 Yesterday Dec 19th 2014 we got the news that my father-in-law E Gopal Reddy passed away after almost two years of a struggle with leukemia. When your friends, colleagues and the community participates in fund raising for cancer research you support their efforts and never think that this will strike home so close. In 2012 when we heard the first diagnosis, We rushed to be supportive to him and our family. It was a trying time for him a perfectly normal individual who loved being with people to suddenly struggling with his own health. What is the ROI of life? You suddenly realize that all you wanted was the ability to continue to experience life the same way.that you are familiar with. The first thing that you think of is how do we go back to status quo where everyone was happy meeting regularly and enjoying success and experience of living. My father in law was always kind, protective and always wanted others to be happy. He was always looking forward to other's happiness. You were kind, you cared . We will miss you. The memories of the happy times together will keep you in our minds forever. We are on our way to India to be with the family. If you ever have a chance to help with the research and treatment of cancer, we hope you will contribute to your favorite cancer research foundation. There are moments in life when you hear something and your mind subconciously thinks about being in that place. I firmly believe that these subconcious thoughts plays a role in your life and the decisions you make. Make sure you have the time to dream, switch off from everything a couple of times a day to let your dreams free, thrive on imagination and your dreams will come true. Sitting cross-legged on the floor listening to a lesson or maybe even a wooden bench in elementary scholl, the memory and description of the first flight from Kitty Hawk is vivid in memory. Years later the visit to Kitty Hawk would connect with that memory and another bucket list item crosssed off. Hey there is a beach and a lot of water close by to add to the vacation. 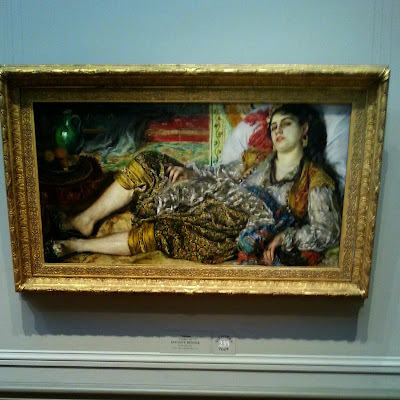 I do not possess much knowledge of the arts but having heard of all these great masters, I was fortunate enough to see their works of art in the National Gallery of Art. This painting is Odalisque by Auguste Renoir. I will be uploading other photos from this visit soon. Another dream come true. I must have been in elementary school and visiting our ancestral village for the summer in the late 60's when I was lucky to watch a village lit up with electricity. Yes, the lights and power, air conditioning, microwave did not exist at one time and I remember how life changes when it does. Before electricity the ancestral village in modern day Telangana had oil lanterns and "Petromax lights" that were lighted at sun down till bed time. I was not a stranger to electricity as we lived in Delhi, the Capital of India. Large cable drums delivered cables to the village and electric poles were erected to being power to the village. In the absence of electricity, radios were battery operated. Life was focused on dawn to dusk and on special occasions more lanterns were hired. Later progress would come in the form of electric pumps, until then, bullocks would move in a forward and backward motion drawing water from wells in a tire and the water would flow to the fields in muddy pathways dug for the water. Reminiscing this now, I feel lucky that I have seen a world where electricity did not exist. A Father's Day Tribute - Remembering People Who Influenced Our Fathers. On Father's Day we should also remember those who influenced our fathers. 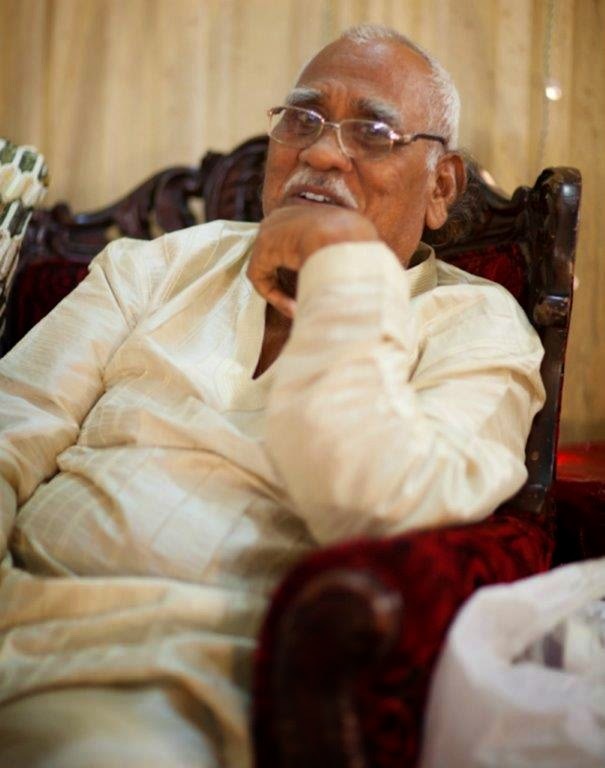 This month my dad's brother Bellamkonda Keshava Reddy passed away in our ancestral village which is in the newly formed Telangana State ( Formerly part of Andhra Pradesh) in India. He was 93 years old. 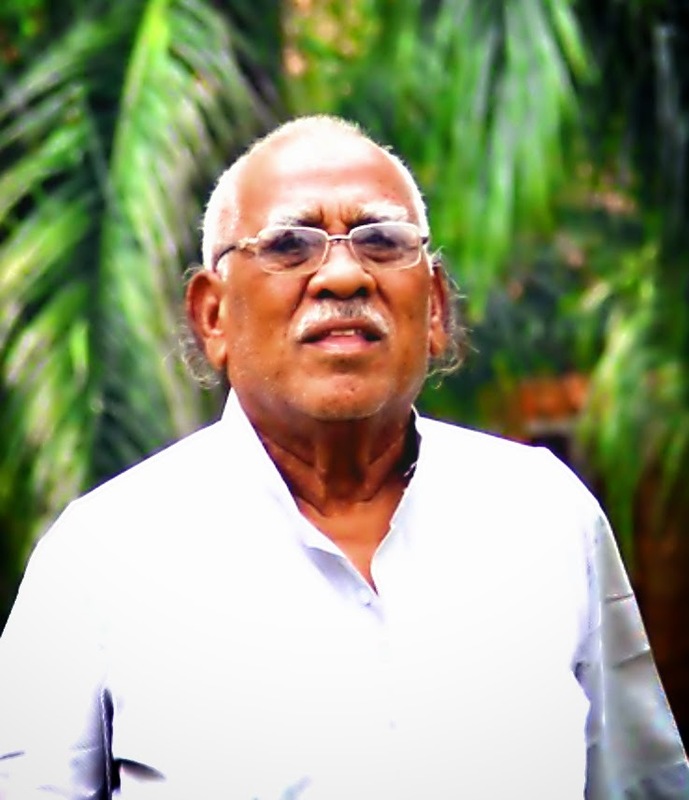 A deep believer in the Gandhian philosophy of simple living, he was a farmer always looking for innovation in farming - trying sericulture, growing crops that were new and treating everyone with respect and equality. Continuing his good work even in death, he had asked for his body to be donated to a Medical college doing a great service even after death. I had mentioned my uncle in a commencement speech I gave to the Georgetown School of Continuing Studies last year. 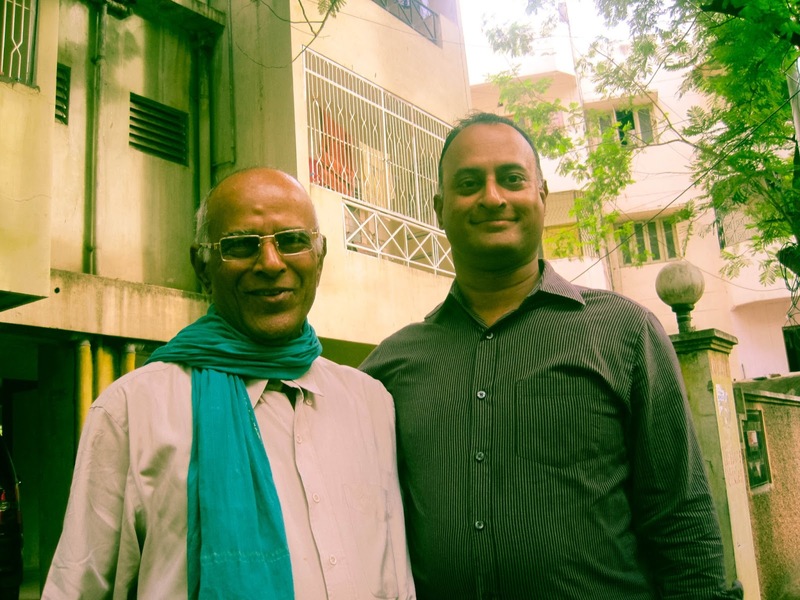 I went to India recently to visit family and my Dad’s brother who is over 90 years still works on his farm in a remote village in South India where our ancestral home is – told me the story of how my father used to run away from school and he had to find him and carry him back to school. He recognized the value of education and to this day I wonder what what if he had not done that? Where would I be today? Of course my father went on to graduate from engineering school and sometimes having to walk 10 to 15 kms daily to get an education, very different that walking to the school bus stop today. Dads and in fact parents give us the gift of life and a life-long involvement in not only our well being but also the entire family. Wishing my dad and all dads a very happy Father's Day. To those who are no longer here with us, Thank you, your memories will keep us strong. Thank you very much Dean Rankin, Faculty members and students of the Georgetown School of Continuing Studies for giving me the opportunity to speak to you. I am very proud and consider it a great privilege to have the opportunity to teach at the Georgetown SCS . Along with being a adjunct faculty member of Georgetown University, I am the Vice President of Digital Marketing at The Bozzuto Group a company that aims to be the best real estate company in America. Many of you may be familiar with Bozzuto and maybe even stay in our homes. I consider myself an intrapreneur – driving innovation from within companies and try to spend any spare time that I have mentoring small businesses and startups. Talking about the “Story of opportunity” that, throughout life we are faced with opportunities that are presented to us, we can increase the chance of making the right decision if we have the strength , knowledge and counsel of those who have done it before. Many times it is family, parents, work place mentors or in many cases centers of learning like this University. My own story, I started off in the hospitality industry , which is a great industry and you get to meet to people all day long and learn a lot about humanity. When computers came along, followed by the internet, I was curious. I signed up for classes to learn Lotus 123, WordStar ( yes. Many of you may not have heard of these). When the fax machine at the restaurant where I worked broke, we decided to get a website. Being a small business and not a ton of marketing money, our way out, in the late 90’s was to go and spend our spare time (Of course there is no spare time in the hospitality business) learning html to build a basic website for a restaurant from a local community college. As I got more into the web technology I was fascinated by it and in the late 90’s the internet was still,not as much a part of everyone’s life as it is today. I went on to learn programming languages like Cold Fusion, Php, MySQL and web server programming. It is very hard to do this when have a fulltime job specially a restaurant, but this hard work was worth it. In the early 2000’s when the dotcom bubble burst, I was making inroads into the technology business by joining Network Solutions. I must say the combination of the hospitality industry and the skills and the knowledge I got from my continuing studies made me the excel in customer support for this technology company. Learning as you work is a great gift and I owe my success to the learning that I got from my work and continuing studies. I congratulate you on your efforts in learning and wish you success. Learning never stops: Paraphrasing author George Bernard Shaw who said “ You learn throughout your life, except for a short break in school” Georgetown University excepted . If you think about how the world has changed even in the past decade, we all have now learnt how to master a smartphone. Even in your career things that you know will constantly need refreshing. I would never have had the success I have had if I did not take interest in web technology even when I was in the hospitality industry. Share your Knowledge: “Knowledge that is not shared is lost forever”. Seek opportunities to implement what you learnt in your work, find volunteering opportunities to deploy your learning and knowledge, mentor others, inspire them and give them a valuable gift of knowledge. Speak at local events, community events , Career days at your kid’s schools and the karma that you build will come back to you. Find time for yourself: In this fast paced world we are constantly facing pressures of activity that sometimes we forget that our thoughts need refreshing. We need time to process, think and get new ideas, be it 15 minutes a day or an hour take the time to stop multi-tasking and give yourself the luxury of thinking. India will swear in it's next Prime Minister Narendra Modi and the Economist featured him on the cover this month with the words - " An Indian growth miracle would be a great thing not only just for Indians, but also for the world"
I listened to this story on NPR yesterday "A Look At India's New Leader, Through The Lens Of Literature" by Akash Kapur author of India Becoming: A Portrait of Life in Modern India. Akash mentions a book by V.S. Naipaul "India: A Million Mutinies Now" that he read 24 years ago. This brought a lot memories back to me. I met V.S.Naipaul when he stayed at the Hotel Ashok, in Bangalore where I worked in the late 1980's when he was researching this book. One of my good friends M.A.Deviah, at that time a journalist for The Indian Express introduced me to V.S.Naipaul and he is mentioned in Naipaul's book several times. I am glad Akash Kapur mentioned V.S.Naipaul's book and brought these memories back. I like what Akask Kapur says about the recent Indian elections and the results in the NPR story. "On Monday, Narendra Modi will be sworn in as India's prime minister. His rise to power is a remarkable story. A former tea vendor who speaks poor English, Modi is a distinct outsider to India's political and cultural establishment. His election signals the extent to which India is shedding its old hierarchies and class barriers, becoming a more meritocratic society. In many ways, that idea — a sense of self-confidence, of individual self-expression — has found shape in Modi's election. 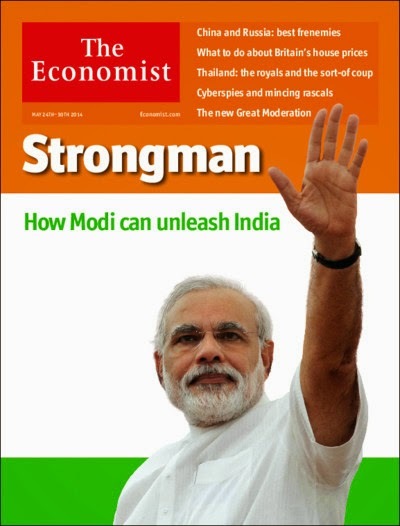 Modi's success signals to millions of marginalized Indians that their aspirations are attainable." What will happen next only time will tell. 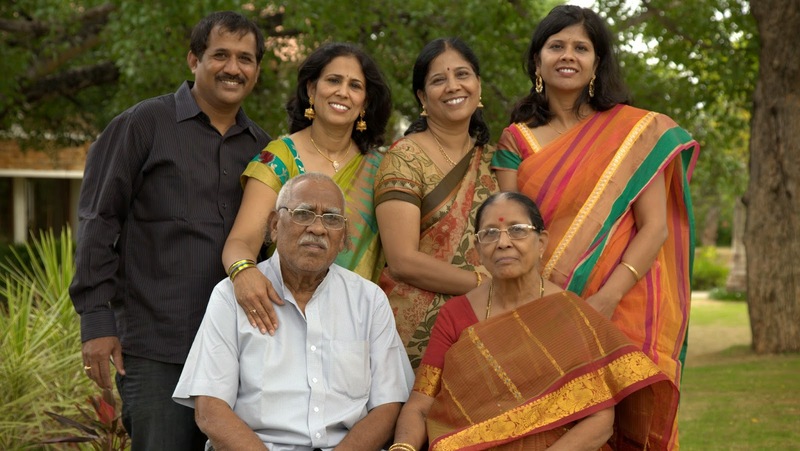 The best thing your parents can teach you is common sense and on Mother's Day, I am sharing with you a few simple things that I learnt from my parents, speically my mom. When you decide to buy anything a simple common sense check will save you. Do you really need to buy it? Switch off lights, Don't keep water running beyond what you need. As human beings we overshare and I am not sure I follow this advice but it is important to always "speak in such a way as to avoid causing offense or revealing private information"
I appreciate this advice very much. Michael Pollan would be happy. A lot of us would like to go back to the times when food was freshly cooked and the family ate together. When you are in India you have no option. You have to be street smart, master the art of negotiation ( Haggle), always be careful of your surroundings and safeguard your belongings specially while traveling. The biggest lesson I learnt from from both our parents who left their native village in Andhra Pradesh, India to begin a life thousands of miles away in New Delhi, was never to shy away from challenges and explore new places beyond your comfort zone. I remember all the times that my mom took my brother and me thousands of miles from New Delhi to our ancestral village, traveling by train, bus and ultimately by bullock cart. As kids we enjoyed it but for mom, it must have been stressful. Thank you Mom and Dad. I was reading this letter to the editor in the Wall Street Journal yesterday (Thu 3rd April 2014) discussing the topic of reduced attendance in Movie theaters. This particular letter writer said that he missed the ushers the most. Ushers made sure the experience was great and maintained civility in theaters. When we first took my son to a theater , we scared him, even as we went to see a kids movie. It's taken a few years to take him back again. What do you think? Do you still go to movie theaters? Why not ? How should theaters improve to get more folks in?